We've left Calaveras County to explore the bridges in Yolo County west of Sacramento (see map below). 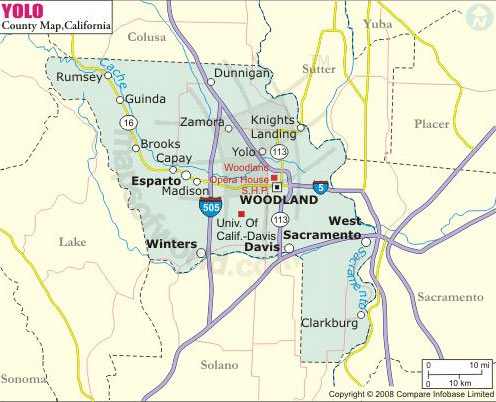 The west side of Yolo County (along the border with Lake County) is quite mountainous due to the movement of the Great Valley Thrust Fault. A magnitude 6.4 earthquake occurred on this fault in 1891. 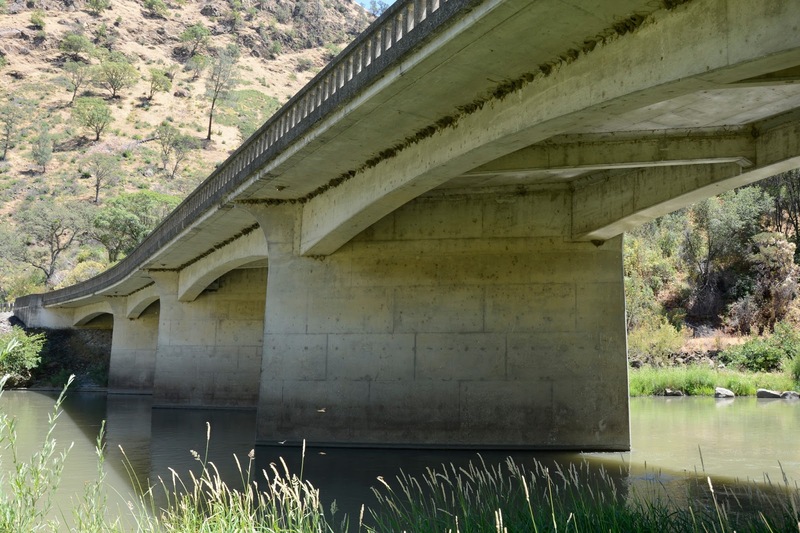 The State Route 16 Bridge across Cache Creek (22 0019) is an eight span T girder bridge (with only two girders) that was built in 1938. It is 375 feet long, only 30 ft wide, and on a 45 degree skew. The area along the exterior girder and the overhang of this bridge is covered in swallow nests. The bridge is supported on wide pier walls, which are the preferred support for river crossings. You can still see the outline of the plywood boards used as the formwork for these piers. Although the creek looks flat and calm in the top photo, just a few yards downstream it becomes a boiling rapids. Cache Creek is one of the few tributaries that travels east and empties into the Sacramento River. 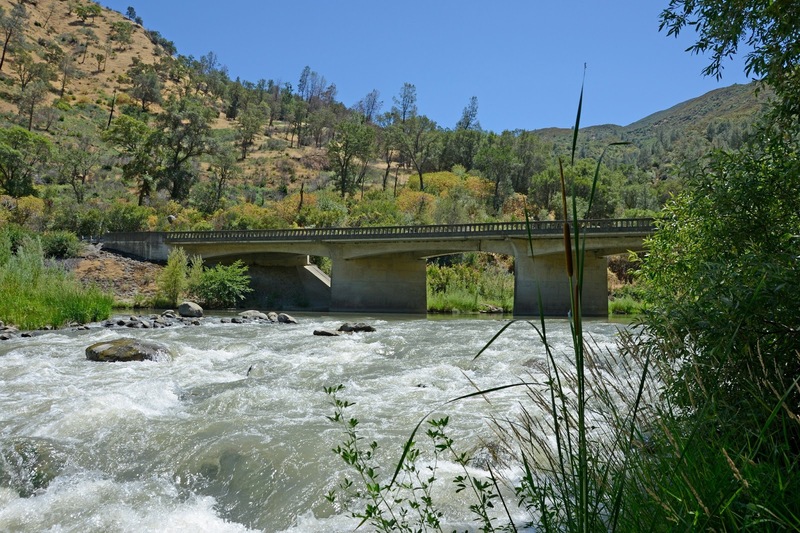 Yolo County, California Bridges; State Route 16 Bridge across Cache Creek by Mark Yashinsky is licensed under a Creative Commons Attribution-NonCommercial-ShareAlike 3.0 United States License.